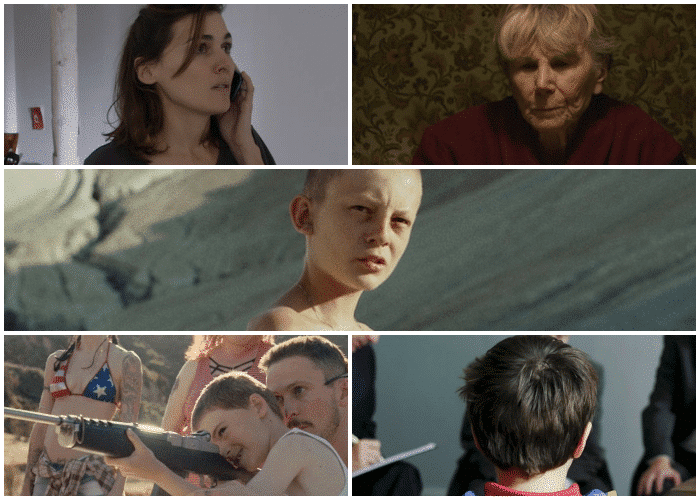 As the 2019 Oscars came and went, one of the hottest topics was the short films. The critically acclaimed Oscar-nominated short films made their way to Omaha theatres from mid-February to early March. Omaha’s resident art-house theatres, Film Streams’ Ruth Sokolof and Dundee, showed the short film collections up to three times each daily. The series of short films consist of five to seven films that are under thirty minutes long. They show live action, animation and documentary-style collections. While animation shorts are a fan favorite, live action shorts are an often-overlooked part of the short film fiasco. The five-movie set begins with a Spanish film entitled Madre, chronicling an intense phone call between a mother and her young child after the child finds himself alone on a deserted beach in a foreign country. It is a scene straight from a parent’s nightmare. The mother, played by Madrid actress Marta Nieto, offers a disturbing amount of sincerity in her portrayal of a distressed parent who is doing everything in her power during a crisis. Though the cinematography is minimalist, swift camera movements and innovative use of sound and music make the film a promising Oscar candidate. Next is Canadian film Fauve, one of my personal favorites. The movie shows a friendship that blooms between two young boys and their adventures through abandoned places in their hometown. When they find themselves caught in an incredibly dangerous situation at a construction site, one of the boys is forced to walk alone and deal with the events that took place. Without giving away too much, the film is an instant tear-jerker with immensely beautiful cinematography and symbolism. While there is not an abundance of dialogue, the personalities of each child shine through their chilling portrayal of a friendship through a life and death situation. Margarete, the third film, is a beautifully done film. The film follows the relationship between an old woman and her female caretaker. It is soon revealed that her caretaker is gay, which leads the old woman to reminisce on her love for her best friend back when homosexuality was considered a mortal sin. The acting of both main roles is impeccably emotional, and the relationship that buds between them is so beautifully pure and earnest that it brought me to tears both times that I viewed the shorts. It consistently stuck out to me as the most well-rounded and impactful film of the bunch. Following the overall dreary theme of this year’s live action Oscar Shorts comes Detainment, which is quite possibly one of the most disturbing films of any length that I have seen. Based on a true story, the film follows the interrogations of two ten-year-olds who kidnapped and brutally murdered a baby in Ireland. Few graphic details are left out and conversation snippets are juxtaposed with shots of the children walking with the child. It is absolutely gut-wrenching to sit through. While all of the acting, particularly on the parts of the children playing the murderers, was impressive, the content was so hard to take that multiple people left the theatre towards the end of the film and failed to return for the final short piece. Skin, the fifth and final Oscar short, is a satisfying revenge film that is reminiscent of Jordan Peele’s Get Out.It centers around the life of a young boy in a Redneck Southern family, and while the hillbilly characters seem nice enough, their true nature is soon revealed as they nearly beat a black man to death in front of his family. The screenplay for this film is incredibly innovative and unexpected and the cinematography is rather realistic than artistic, but it gets the point across very well. Skinwas the winner of the Oscar. This is likely due to its powerful message and call to action as well as the excellent characterization by all actors. In my personal Oscars bracket, Fauve or Margarite deserved the win. However, Skin is a chillingly realistic portrayal of modern-day racism with an interesting twist—and their win was undoubtedly deserved.